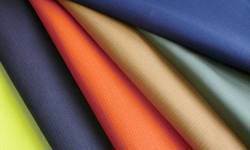 Our range of products include fire retardant coverall and flame retardant cloth. Used as various of liners to resist high temperature, such as microwave liner, oven liner, or other liners. Used as various conveyor belts, fusing belts, sealing belts or anywhere need resisting high temperature, non stick, chemical resistance, etc. Stable dimension, high intensity, elongation coefficient less 5%.